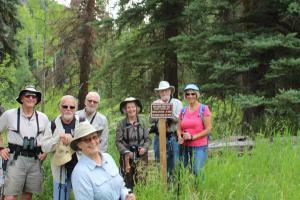 The club organizes one camping trip each month from May through September. We have both tent campers and trailer campers and the trips are usually during the week, but occasionally we will include a weekend. Sometimes we will go to a spot that has a motel nearby and we encourage “soft campers” to come also to enjoy the area. We try to go to spots that have lots of interesting things to do nearby such as hiking, kayaking, fishing, golf, or just exploring. It is important to register before these venues fill up. Check out the latest Newsletter for details.